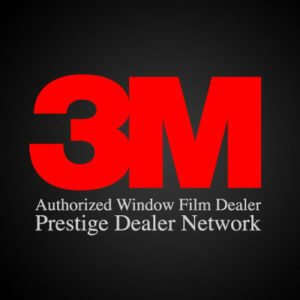 Window tinting for your home, vehicle, or business will keep you comfortable and save you money all year long. If you’re considering this step, here’s what you need to know about the best time of year to have your windows tinted and the benefits you’ll experience in each season. When Is the Best Time to Tint My Windows? Although you’ll enjoy the advantages of tinted windows throughout the year, weather does play a role in successful professional tinting. When installed and cured properly, you can expect the tint to last at least 10 years. According to Rayno Window Film, it’s best to have your windows tinted when the weather is mild and humidity is relatively low. For Las Vegas window tinting, aim for either February through April or October through December. Climate data shows an average high ranging from 57 through 81 during those months. Although rainfall can cause an issue for proper curing of window tint, this is rarely a problem in our sunny climate. If you want to save money on heating and cooling your home, tinted windows can provide extra insulation that prevents you from having to run your HVAC system constantly. Homeowners also enjoy UV protection, limited glare, and increased security and privacy. If you own a business, window tinting can protect your furnishings and equipment from the sun’s UV rays. Your cooling costs will decrease as a result, which is a significant saving in the hot Nevada climate. Because your air conditioning system will be less taxed, it will last longer and require fewer repairs, also a benefit to your business budget. Window tinting also adds privacy and security to your commercial location, which is a benefit for your customers and employees. Window tinting for your car improves your visibility by blocking glare. It also protects your skin from the sun’s harmful UV rays, which can also fade and whether the interior of your vehicle. When it gets hot in Vegas, you’ll know it. Temperatures average above 90 degrees beginning in May through September, peaking at a high of 105 in July. While you’ll be cranking the AC in your car, you won’t need to use it quite as much with tinted windows that block the sun’s UV rays. This will help your system last longer and decrease your gas costs, making it much easier to take that dream road trip. As in summer, you’ll save money on fuel costs when you have tinted windows in the spring. Although temperatures are milder, you’ll still be protecting your skin from the sun, which lowers your risk for skin cancer. Tinting also prevents UV rays from cracking and fading your vehicle’s upholstery, thus preserving its value. Mild temperatures characterize the city for most of the fall, but you’ll still appreciate the cost-saving benefits of your tinted windows. Although you might forget to wear sunscreen when September rolls around, you’ll still have the UV blocking benefit when driving your vehicle. Although we rarely get snow in Las Vegas, we do have a few cold days during the winter months. When your car’s windows are tinted, the heat will be trapped inside so you’ll save fuel by running the vehicle’s heater less often. February also tends to be the wettest month, so if you get caught in the rain, you’ll notice improved visibility thanks to your tinted windows. Total Eclipse is your trusted source for Las Vegas window tinting. We’ve been providing residential, commercial, and auto window tints for customers in the surrounding area for more than 15 years. Call us at (702) 222-0809 or fill out our online contact form to get a quote for your home, vehicle, or business location.